the SWeden Azure user Group (SWAG). The idea is full days of Azure related sessions in one single session room. You will not miss anything with multiple tracks. Presenting are Microsoft Azure community and industry leaders and provides real-world content for Microsoft Azure developers and those wanting to explore the platform. The focus will be on developing Microsoft Azure applications and real-world cloud-based solutions. All sessions at CloudBurst are presented in English. SWAG community events are always free to attend and our event includes lunch both days! Regional Director and Microsoft Azure MVP Magnus Mårtensson. 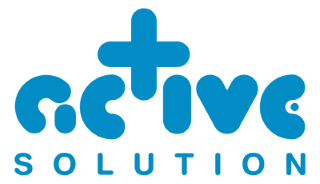 Logos and graphical design by our good friend Maarten Balliauw. The following World Leading Microsoft Azure Presenters are speaking at CloudBurst 2018! SWAG would like to thank all the presenters for contributing their valuable time and their knowledge, as well as all those involved in organizing and promoting the event. Morten works at Umbraco HQ where he helps build Umbraco Cloud, which is Umbraco (the CMS) as a Service. Morten is also an Azure MVP, Azure Lover and community addict. In Copenhagen he helps organize the Copenhagen .NET Usergroup, Azure Usergroup and Community focused conferences like MicroCPH and Azure Saturday. When he is not working on Azure, doing Community events you can find him either learning about new things in Azure or building LEGO sets (there should probably have been a "LEGO addict" part somewhere in this profile as well - according to his bank account statements). Infrastructure as code is a hot topic these days, and Azure Resource Manager (ARM) templates are terrific for creating environments with resource dependencies be it simple or complex scenarios. But sometimes you might want to take a slightly different approach and use C# rarther then Json and/or PowerShell. This is where the Azure Management Libraries come into play. In this session we will take a practical approach to creating Azure resources on-demand using the Azure Management Libraries for C#. Based on a specific use-case in Umbraco Cloud (umbraco.com/cloud) we will look at how we are creating Sql Azure databases in Elastic Database Pools on-demand through a service all C# and ARM based, and how we ensure proper utilization of the Elastic Pools. You will get insights into how we have approached provisioning resources in Azure in order to build a service that takes care of "everything", so we have less to worry about. Alex Mang is a trainer, consultant, regular conference and user group speaker focusing mostly on cloud-computing topics, thus aiming to help developers better understand the implications of cloud-computing as a whole. Recently, Alex was invited as a featured speaker at Microsoft Ignite, the company’s largest and most important technical conference gathering nearly 30,000 attendees. This makes it the third year in a row when Alex is a speaker at Ignite, each time receiving overwhelming feedback for the real-world scenarios and solutions he shared. Since 2011, Alex is the KeyTicket Solutions CEO, where, besides his entrepreneurial responsibilities, his daily activities cover: project management, scrum master, senior software development for web, desktop and mobile apps and software architecture. For his experience on cloud-driven solutions, his Microsoft Most Valuable Professional (MVP), Microsoft Certified Trainer (MCT), Microsoft Certified Solution Developer (MCSD), Microsoft Certified Solution Associate (MCSA) and Microsoft Certified Solutions Expert (MCSE) stand as proof and so do the many happy customers he had the pleasure to work with for the past few years. Service Fabric is terrific! Not only does it manage my cluster for my reliable services, but it also orchestrates containers. Azure Container Services is terrific! It’s the most popular orchestrator, with brilliant tooling with fabulous orchestration capabilities. So, which one is best for me? If you’ve ever wondered the same thing, this session is for you. If you want to get a browder picture on the two offerings, this session is for you. If you want to know what your life would have been life had you chosen *the other* road, this session is for you. If you want to have fun for, this session is for you. If you develop mainframe solutions based on Cobol, this session is NOT for you, but you’re more than welcome :-). 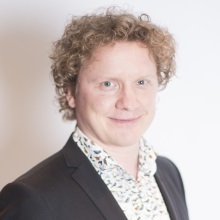 Magnus Mårtensson runs the companty Loftysoft as a strategic consultant advisor, tutor, international speaker, process coach and technical lead. He is a Microsoft Regional Director and a Microsoft Azure Most Valuable Professional. In business as well as in life he is a true entertainer while being productive, smiles while being challenged and always gives more than is gained. He is man with a true consultant spirit and aims not to take life too seriously because he claims it’s more fun that way! Some of his passions are reaching out and connecting with audiences, engaging in community activities and organizing online and global conferences such as GlobalAzure Bootcamp and CloudBurst. Magnus focus on all things Cloudy and operates like a fighter pilot navigating cloudy skies helping clients safely harness the power and benefits the Clouds can bring. As the first Azure MVP in Scandinavia in 2012 he has been awarded MVP of the year and is now a go-to person for Microsoft in the Nordic countries regarding Enterprise Cloud Consulting. He is also a Microsoft Azure Insider and Microsoft Azure Advisor providing feedback even before early Microsoft releases to the Cloud Platform. Handling, or monitoring and governing, your global service in the Cloud is not for the faint hearted. The Holy Grail is ever so elusive! Holy Grail meaning that Global Multitenant amazing Service that is going to take over the world and bring you lots of dough! Recent updates to Azure Monitoring create a clearer picture and providing for us more of a unified experience where all diagnosing, metrics, logs, alerting and more happens in one place. It’s like walking up to a “single pane of glass” where you can overview manage and act all in one place! Let us define the needs for monitoring a modern service hosted in the Cloud and walk through the landscape of services and features that makes this possible for us! Aleksandar Nikolic is a Microsoft Azure MVP, a Cloud and Datacenter Management MVP, a co-founder of PowerShellMagazine.com, and a community manager of PowerShell.com. 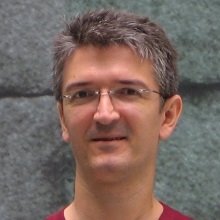 Aleksandar is also a Microsoft Azure Advisor. He has more than 18 years of experience as a system administrator. 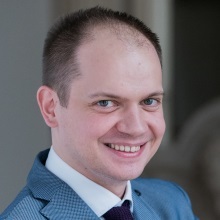 He also delivers Azure and PowerShell training courses around the world and is a frequent speaker at IT conferences such as MS TechDays, IT/Dev Connections, MMS, NIC, ExpertsLive, MS Sinergija, MS NTK, and PowerShell Conference Europe. Automation is a key to fully embrace what Azure offers in a consistent and optimal manner. Various automation technologies exist to provision and manage Azure resources, but how to pick the right one? Azure PowerShell or Azure CLI 2.0? Use imperative commands or provision using the powerful, declarative ARM templates? Maybe best practice defaults with Azure Building Blocks are the right choice? Or, you would like to deploy complex topologies in an easy way with Terraform? Maybe you would prefer Ansible to automate cloud provisioning and configuration management? Join us to learn more about these automation technologies and pick your winner. 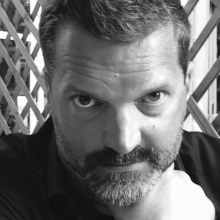 Kristof Rennen is Program Manager Azure Storage at Microsoft, with over 13 years of experience in software development, architecture and design. Being in Cloud and Microsoft Azure for the past 7 years, his passion is building high quality, scalable and maintainable solutions, both on Microsoft and open source technology. We have been seeing it in movies for years, cars that drive without any human intervention or interaction.What looks futuristic at first, is now being worked on by all car manufacturers. The ultimate goal is building a full Level 5 Autonomous Car.Though it might still take a couple of years (or decades) to achieve this, the technology investments are already happening today and the foundations are laid for these challenging projects.In order to build such cars and get these validated, massive data sets need to be processed and analyzed over an over again.The industry has set clear expectations and the validation of such "human replacement" scenarios are lengthy and very expensive.The goal is clear, build a car that can do better than a human … but can it?We will start by talking about the business side of things.What are the 5 levels of autonomous cars, where are we today and what are the (legal) requirements to bring these to market.We will also clearly sketch the challenges the industry is faced with and what they need to come up with in order to succeed over time.In the major part of the talk, we will go deeper into the architectural side of things. We will walk you through the complete end-to-end "reference" architecture of such solutions on Azure.Don't expect too many demos or code, but a true architectural talk on the challenges and solutions for massive scale.First we will explore the mass data ingestion challenge, expected to be in the PB range on a day to day basis. We will talk about the challenges around data redaction and master data management, in order to be allowed to use the data.Once these 2 pieces have been cleared out, we will go deeper on the mass compute and storage needs and the appropriate Azure architecture that can be leveraged to successfully build these kinds of solutions.To conclude, we will see a couple of these Azure services in a concrete and life scenario, like VMSS, Limitless Storage / ADLS v2, Azure Cycle and many more. Dan Rosanova is the lead Program Manager and Product Owner for Microsoft Azure’s Messaging Services including Event Grid, Service Bus, Event Hubs, and Relay. He has a background as a software architect specializing in cloud computing, distributed systems, integration, and evolutionary computation. After more than a decade in technical consulting he shifted his focus to management consulting in technical fields focusing on lean principles. He is a five time Microsoft Integration MVP and author – as well as a snappy dresser. Session: Azure Messaging: Why does Azure need five messaging services? Queues, Event Grid, Service Bus, Event Hubs, Relay – yes, Azure has five different messaging services. In this session Dan will explain why Azure has all these different messaging services. The session will provide a brief introduction to the services and then discuss how they are intended to be used. It will also elaborate on the design decisions made for each service and how each has been purpose built to solve the specific challenge of its problem space. This session will answer once and for all why we need these separate services and how you should use each… as well as what will go wrong when you choose the wrong one. Azure Event Hubs is the streaming back plane of real time data in Azure, with the addition of Event Hubs for Apache Kafka™ this powerful cloud native service can provide you with the platform on which to build your streaming solutions using the same stream for real time and batch based processing. This talk will discuss how Event Hubs, Storage, Stream Analytics, Azure Container Instances, and Azure Functions can all be composed to provide robust and scalable streaming at a low cost. Alan is from England and resident in Stockholm where he works as a consultant for Active Solution, a company specializing in Microsoft Azure and .NET development. He has been in the IT industry since 1995 and delivering training courses since 2005. Between courses he acts as a mentor and coach to other developers and teams, sharing his knowledge of Microsoft Azure to improve their project development. He also works closely with Microsoft, taking part in technology preview programs, attending software design reviews and providing feedback to development teams. Alan has an active role in the developer community running a local Microsoft Azure user group as well as playing a leading role in organizing the Global Microsoft Azure Bootcamp and the CloudBurst conference in Sweden. 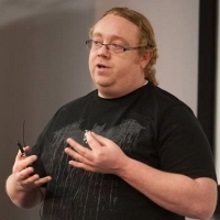 He is a frequent presenter at conferences and user groups in Sweden and around Europe and has held the Microsoft MVP award for nine years, currently as an MVP for Microsoft Azure. Azure Cosmos DB is Microsoft’s globally distributed multi-model database service. The Cosmos DB Graph API allows for the creation of sophisticated graph structures enabling the fast query and retrieval of complex hierarchical relationships. The Game of Thrones world features over 500 characters hailing from a complex web of houses, kingdoms and religions. Modelling, analysing and visualizing the complexity of the backgrounds and relations of these characters is a challenging task, and one that is well suited to a graph database model. In this demo intensive session Alan will explain the concepts of graph databases. He will then show how a complex hierarchical dataset can be imported into Cosmos DB using the Graph API. The capabilities of the graph database can then be demonstrated, showing how queries can be executed against a graph model. The analysis of relationships will be explored, demonstrating the power of using a graph model to explore entities and the relations between them. This session will be delivered in the common tongue and feature a large number of executions, but hopefully contain no major spoilers. 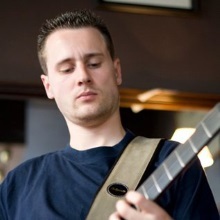 Michael is a cloud and integration architect who is based in newcastle UK. Michael has worked with Microsoft Azure since it was first released and has delivered many projects with large customers around the world leveraging Azure. Michael has also been a Microsoft MVP for 10 years. Unexpected or adhoc support processes are a pain and can drain the effectiveness of your DevOps team.. 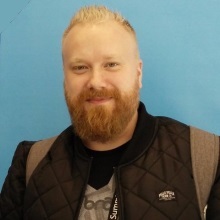 In this session Mike will show you an example of how the adoption of Microsoft Flow combined with technologies like Azure Functions and Powershell can allow the automation of some of these annoying tasks so they could be handed over to the front line support teams which frees up your team members to focus on higher value tasks. The example for this is based on a real world scenario involving Dynamics CRM in a multi-tenant multi country implementation. The cloud, serverless and consumption based pricing has enabled small business to use the same technologies that big business is using in enterprise IT. This means that its possible for a small business with the right knowledge and skills to build solutions which take advantage of the latest technology and to pivot and react to changes in a way that gives them an advantage over larger enterprises. In this case we will look at a simulation of a retail scenario showing how you could leverage Azure to solve real world problems and create a solution which bigger competitors would be envious of. 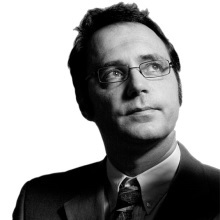 Christian Weyer is founder and CTO of Thinktecture AG. As a Microsoft MVP (Most Valuable Professional), Google GDE (Developer Expert) and independent Microsoft Regional Director for Germany, he is an engaged and passionated speaker on several software conferences and events all over the world. His heart has always been with cross-platform solutions and distributed end-to-end architectures - with his head in the Cloud since 2008. Session: eXtreme Serverless Azure: Data, Compute, Realtime - in Action! Whaaat? No servers? Well, yes. Serverless is all the hype these days. Let's try to sort out some of the real strengths of Serverless and see where Serverless & PaaS build a set of highly productive weapons in your Cloud arsenal. 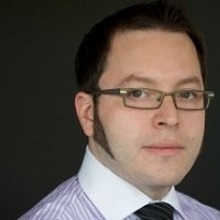 Join Christian Weyer from Thinktecture while he discusses Azure Functions, Storage, CosmosDB and SignalR Service in a holistic scenario - all by building an end-to-end solution that should 'just work' by the end of this session: creating a scalable real-time application in almost no time - really? Aaand action! Two days packed with great sessions! 08:00 - 08:50 Doors open! 15:45 - 16:45 eXtreme Serverless Azure: Data, Compute, Realtime - in Action! 15:00 - 16:00 Azure Messaging: Why does Azure need five messaging services? 16:00 - 16:30 General Q & A with all the speakers! Hosting a conference with leading international presenters and keeping attendance free would not be possible without the dedication and hard work of the presenters, organizers, and financial contributions from organizations. The conference would not be possible without the following invaluable organizations (in alphabetical order) for helping with financial support and logistics. Would you like to sponsor SWAG and among other things have your logo appear here? Contact us below! CloudBurst 2018 will be held at the Microsoft offices in Akalla, Finlandsgatan 36, 164 93 Kista. Travel cards are required for the subway and can be purchased from the Pressbyran shops by the stations. A travel card with 16 coupons can be purchased for 220 SEK. From T-Centralen, take the blue subway line to Akalla, which takes around 20 minutes. At Akalla station, leave from the exit at the rear of the train. The Microsoft offices are about 3 minutes’ walk from the station exit. Taxi, around 35 minutes, fixed fair around 450 – 550 SEK. Arlanda Express airport train, around 20 minutes, 260 SEK. Airport Bus, around 40 minutes, 99 SEK. Taxi, around 25 minutes, fixed fair around 450 – 550 SEK. Bromma airport is about 10 km west of Stockholm city. It is recommended to stay in Stockholm city. Stockholm has a number of hotels around the city. Any questions or suggestions? Contact the event organizers Alan and Magnus! Reach out to @noopman or @alansmith if you have any questions. Register here to attend CloudBurst 2018 in Stockholm. All sessions at CloudBurst 2018 are presented in English! I want to attend CloudBurst 2018 on October 04-05!